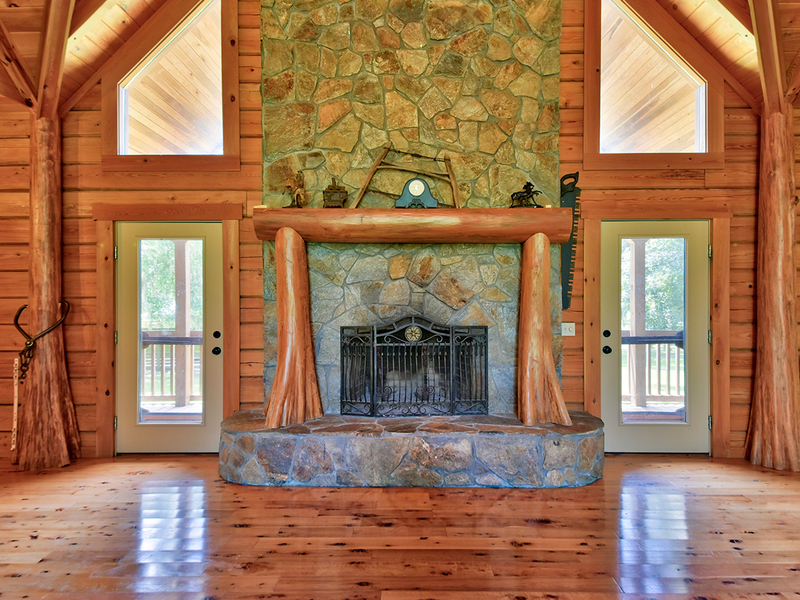 Looking for your perfect Log Cabin? We have what you’re looking for. 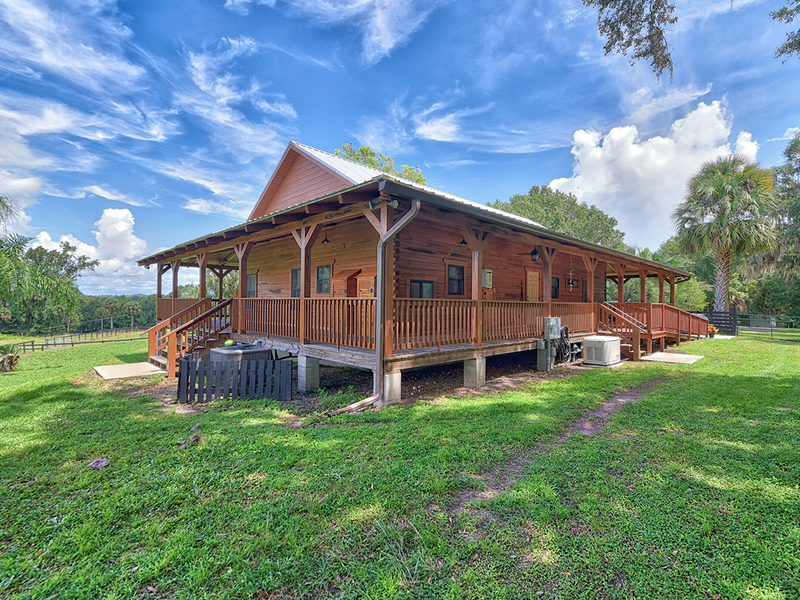 Our log cabin homes inspire luxury with a characteristic of Central Florida as cabanas and beachside villas are of the state’s more southerly locales. 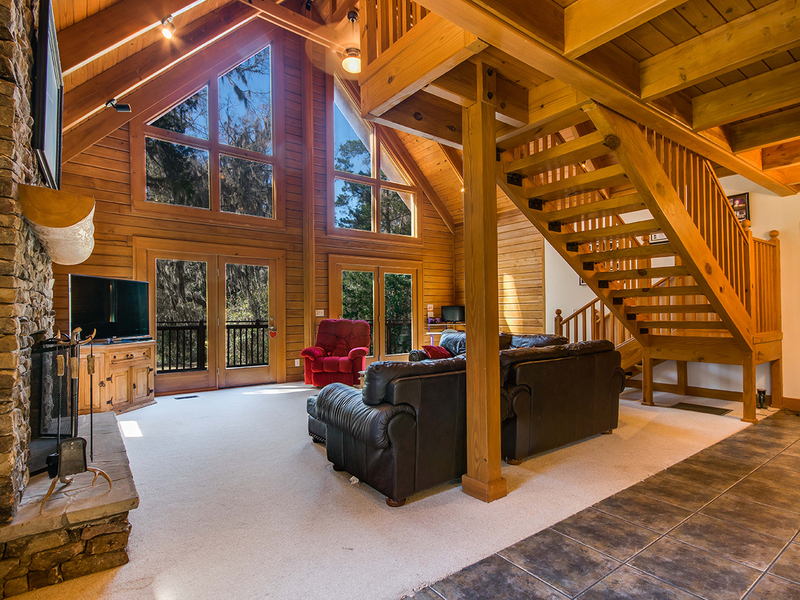 The region’s nature-rich forests and river-bluffs are echoed in raw wood and stone, vaulted ceilings, and open interiors with plenty of breathing room. 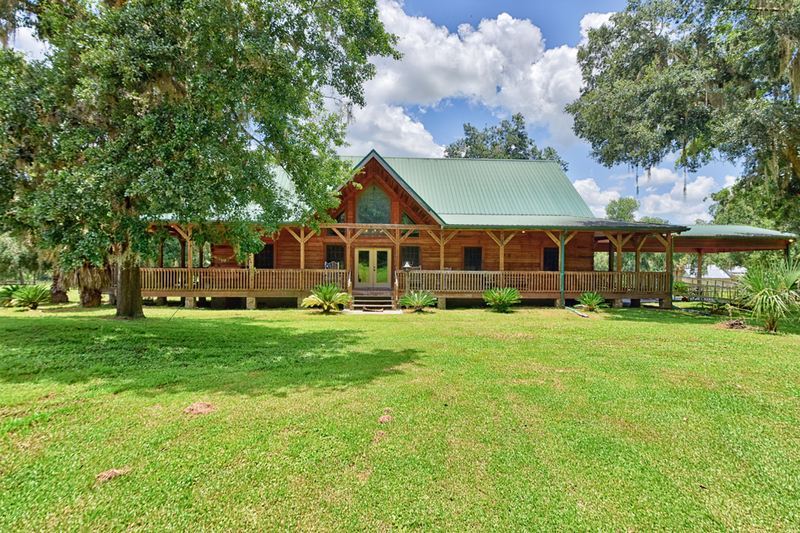 Browse our luxury log cabin homes and lodge listings to discover the authentic, rustic luxury that makes Central Florida the perfect place to live. Not finding what you’re looking for? Contact one of our experts today to narrow down your search. 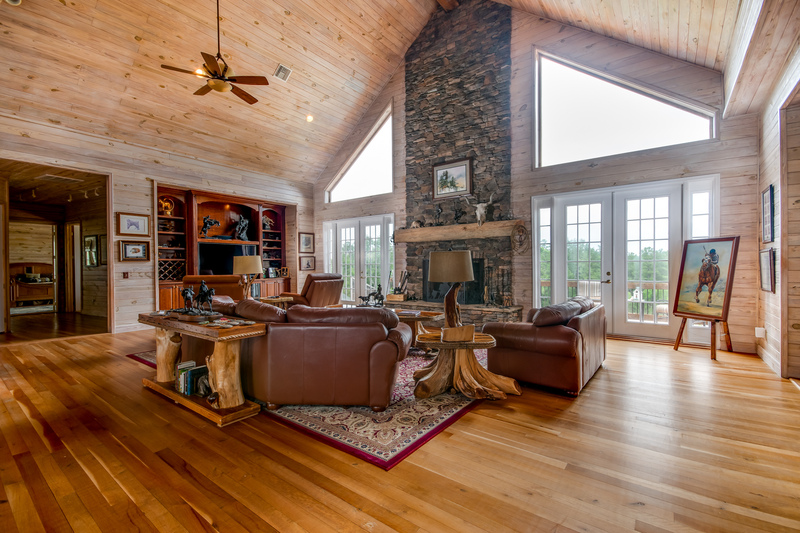 A stunning wood and stone three-bedroom, four-bath home, Eagle’s Rest features a gourmet kitchen, massive stone fireplace, and pine interior throughout. 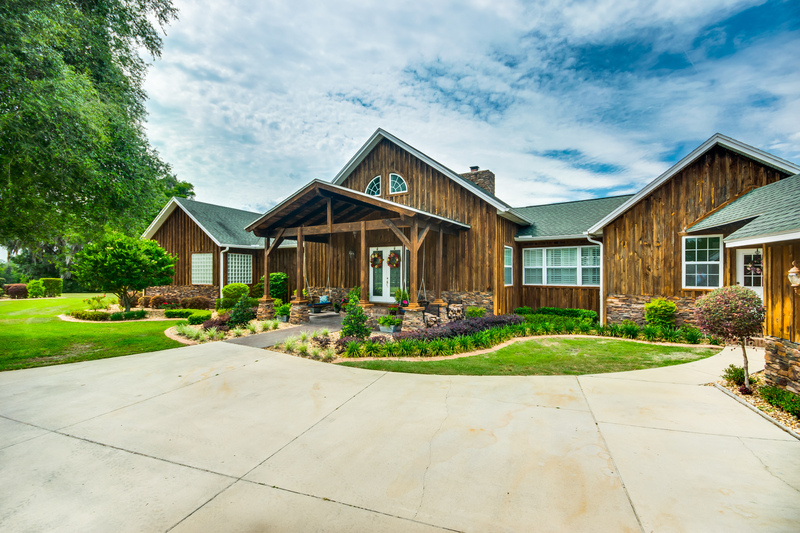 Situated on over one-hundred acres of rolling land, this home is truly custom-built with wood sourced straight from the property. 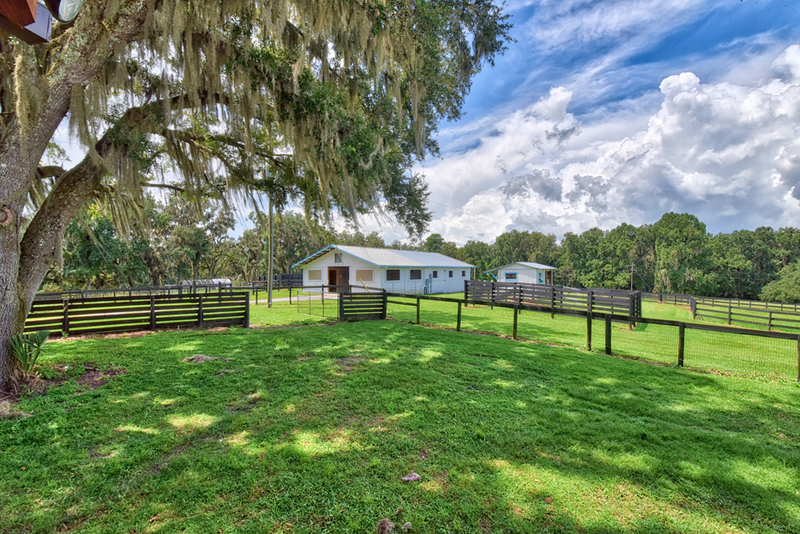 Enjoy the convenience of a two-stall barn near the residence, or the twenty-four stall, center-aisle barn complete with two separate two-bedroom, one-bath apartments. 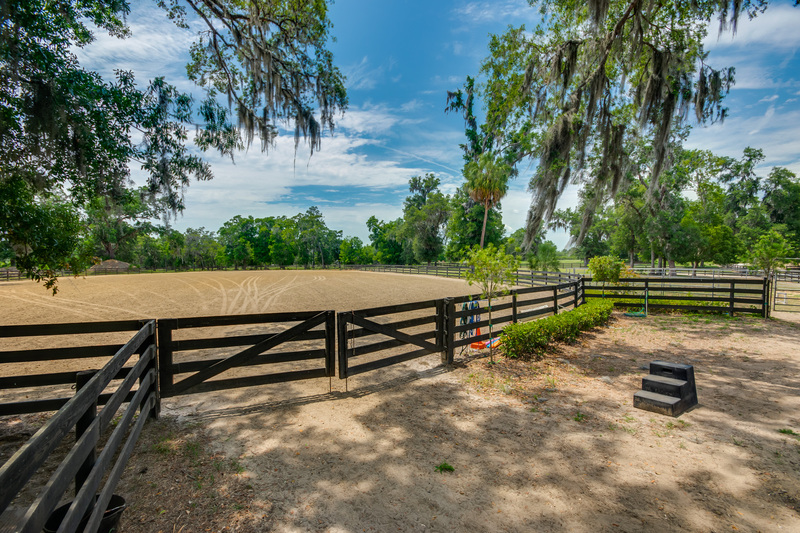 The equestrian amenities include six paddocks, sixty plus acres of pasture, a round-pen, and training arena. 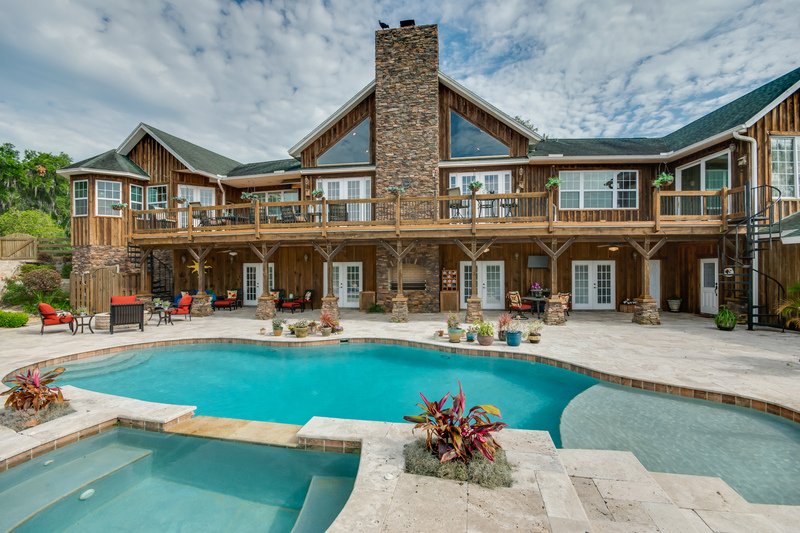 Love where you live with this resort-style outdoor oasis, boasting on expansive upper-deck overlooking a travertine patio with fire pit, lagoon-style heated salt-water pool, infinity spa with sun shelf, and adjoining putting green. 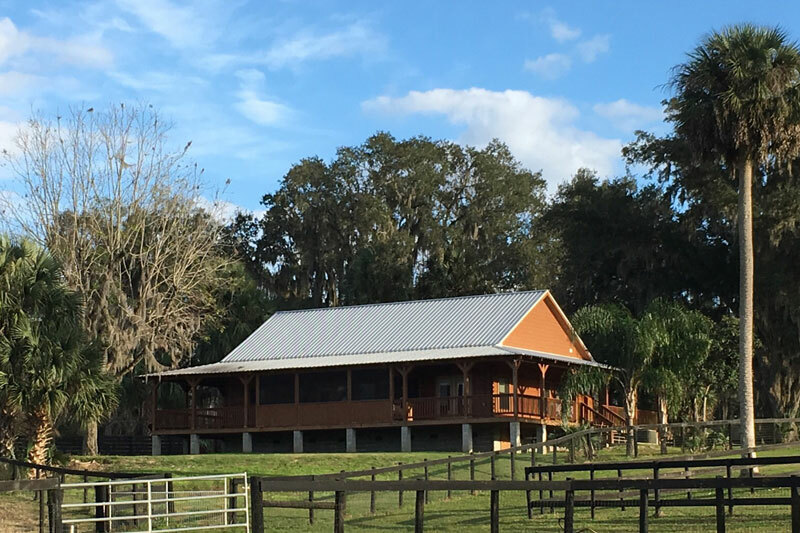 Silver Ridge Stables on over 32 acres boast a new 75x200 riding arena as well as a 9 stall center-aisle barn with tack room, wash racks, hot/cold water. 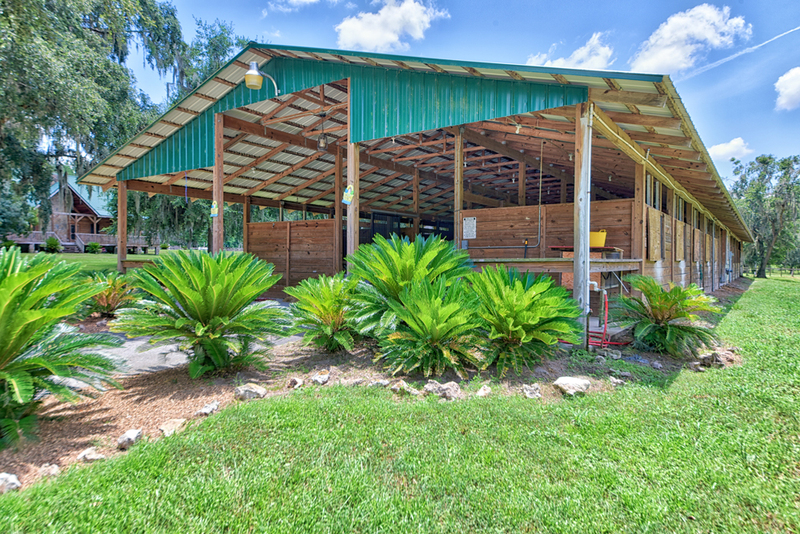 A 2nd center-aisle barn with 5 stalls and tack room. A 3rd barn for hay and feed storage. 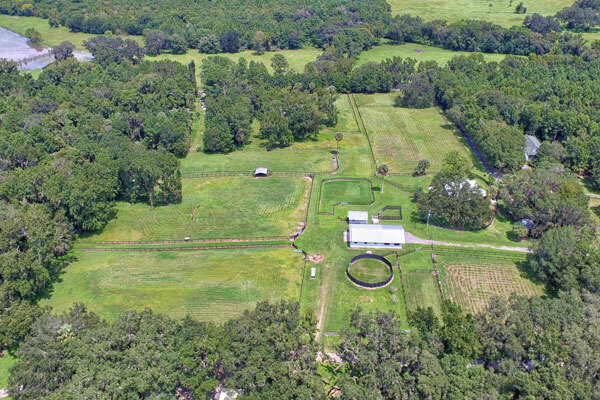 Your horses will love the 9 lush paddocks and the stallion/isolation stall with its own paddock. 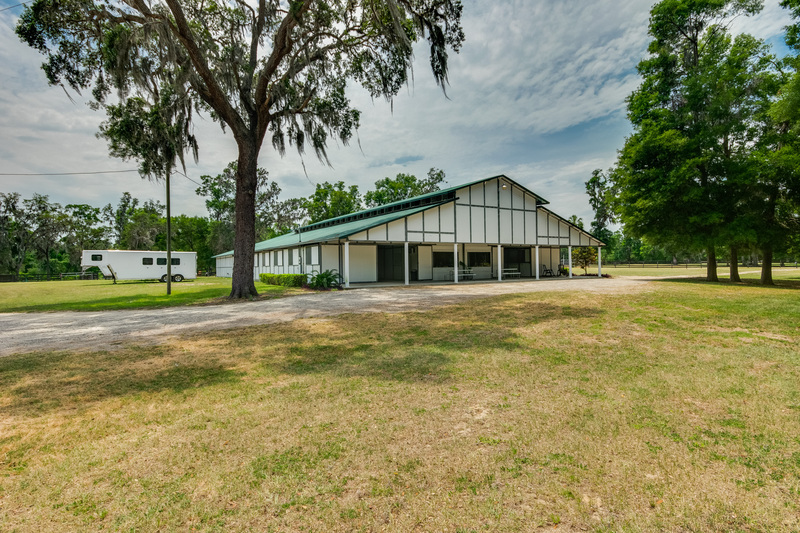 Additional amenities include 24x24 workshop, round pen and several covered storage areas and out buildings. 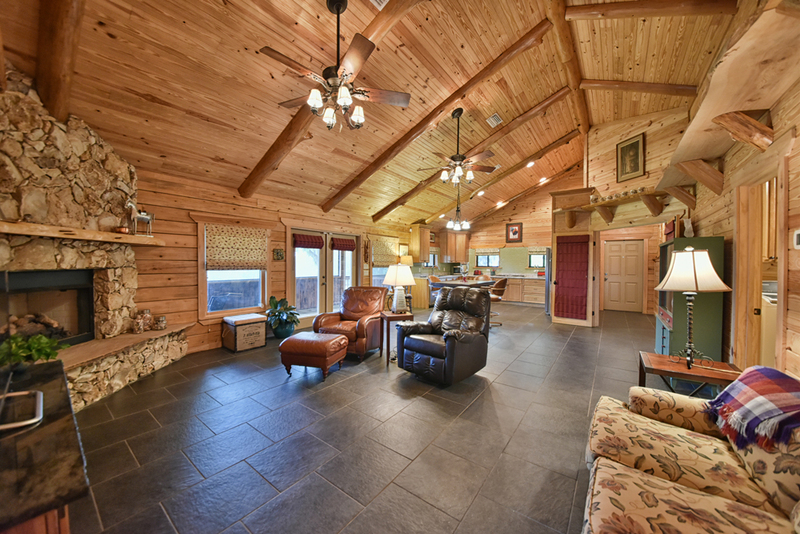 The main house is a luxurious custom log home, enjoy countless hours taking in the views from the covered wrap around porch. 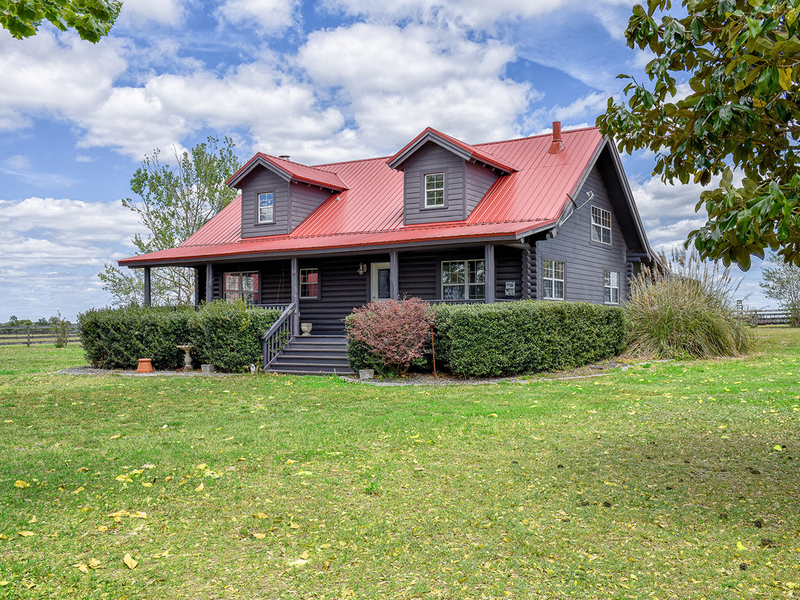 With two additional residences, the property has options for rental income. 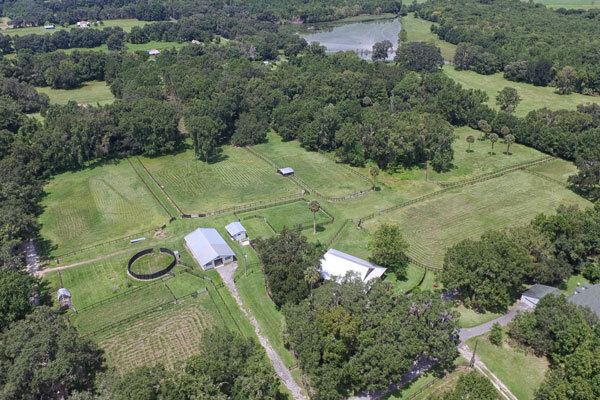 Ideally located minutes from Gainesville and Ocala’s Jockey Club, and close to the World Equestrian Center, this is the perfect farm to call home. 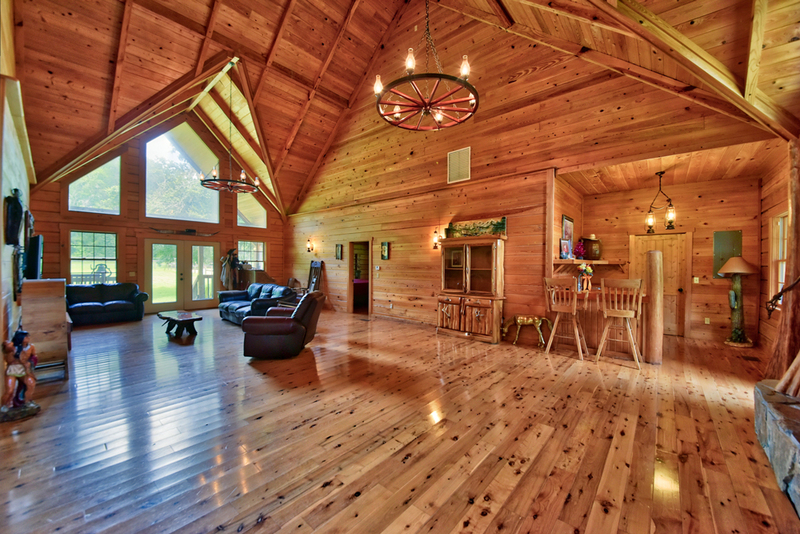 Looking for help finding the perfect Central Florida log cabin home for you? Contact an experienced Showcase REALTOR® to learn more about these properties, or to schedule a showing today. 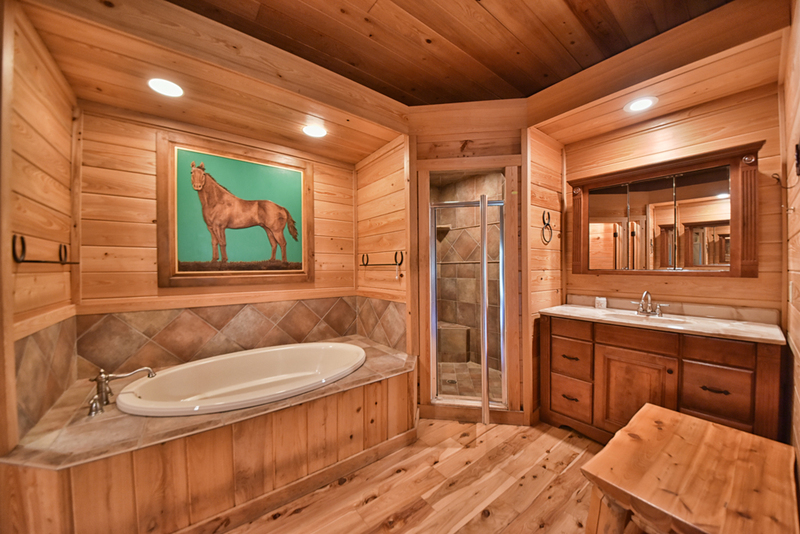 Log cabins not really your style? 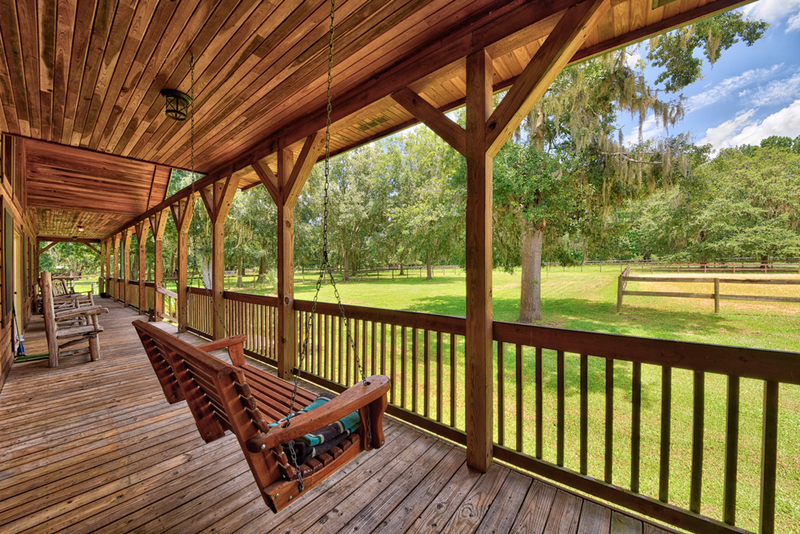 Take a look at our neighborhood spotlights and find the perfect Marion County neighborhood for you!